Today is going to be just a fun blog. We are getting ready for a major undertaking of use and repair of both the top deck sleever and counterbore tools. Look for these in the next few months. Today I decided to try and clean out my photo room or closet as I like to call it. It has become a catch all for everything that nobody wants to deal with. Needless to say if I am going to put a full size Cummins block in it everything must go. This is just a fun little look at the odd old stuff that is floating around the building. I think the employees are trying to give me a hint that I need to list this stuff on Ebay. I personally think this was the find of the day. I have no idea how we ended up with a pre-war Rays socket set. The best my research can show me is these are for a Packard. I think I may have to hang on to this set for a while. A good cleaning and they will be good as new. This is something else, I have no idea why we have this but it is an old Black and Decker sander/polisher. Sorry I did not plug it in and see if it still worked. But this is really cool, I might have to hang on to this. If you notice a trend I am not really getting anything out of my photo room. I cannot remember the last time I actually used one of these but I am thinking maybe I need to take a few of these home and make up a tool kit for my Model A’s. If you have never had the chance to look at the craftsmanship on these old tools it is absolutely amazing. I am not really sure why they call it a monkey wrench. These are both square drives and I’m not really sure what they were used for. I love them and wish I had a set of nut drivers and allen wrenches made like this. I have seen piano tuning tools like this but cannot see us having those in our building. Ok I may have used this thing in a blog before but I have no clue to what it is. Is it a wrench? Is it a plug tool? It looks cool and I will have to stick with that. If anyone has an idea of what this is, please contact me and let me know. I would love to solve the mystery. I almost think this is a canning tool. I have to admit I have used this a lot in my parts washer. Just a nice super heavy duty funnel with a screen. Never pass up the chance to look at kitchen gadgets at the flea market. I would hate to see what Snap-On wanted for something made like this. Ok for all you youngsters this is what we had to do before the internet. I wish I had one of these when I was doing more of this. I kept having to refer to my machinist handbook. These were great advertisements. Give someone something useful and they will hang on to it. It is a tap/drill guide for anyone needing a hint. I guess I have to say I am ready for the zombie apocalypse if they are the size of elves. It would be interesting to find the original uses for these. The round object in the picture is a quarter. I have seen many mini hammers before but never with a full size chisel built in. The mini tomahawk is a puzzler. Maybe a 4 year old needed to pull his own weight and go chop wood in the 1930’s? I am not sure but I guess even Barbie cars need a tire change once in a while. Sorry I had to play with this, you know you would have as well. This little floor jack had no trouble picking up my steel work bench. I am actually really impressed. As always happy wrenching and keep an eye out for our upcoming blogs. My next one will be on leveling a counter bore tool not cutting parallel to the block deck. Just back in the office from Independence Day, 2016. While enjoying my 3 day weekend pressure washing and playing catch up on an entire laundry list of things that need done and the round-tuit has grown to the size that can be seen from space. While mindlessly power washing the dock, I started thinking about the state of diagnostic equipment today. One of the biggest rumors floating around my little town of Columbus, IN is that the newest version of Cummins ECM command control is only going to be readable by Cummins Inline #?. This makes me stop and scratch my head. I know the reasoning behind it. If you do not like what a 3rd party diagnostic company is doing, let them know about it. You can always design your own fuel pump. Now the smart phone app and Bluetooth adapter sounds really nice for those going into Canada. I guess time will only tell on this one. I have to say trying to force everyone to buy a new translator is not going to go over well with the shops. Come to think of it, making it harder to find a shop that can work on your truck probably will not help engine sales any also. A couple of weeks ago big news came out of Noregon. In the past few years Noregon has really perfected JPro software and teaming it up with NextStep is a total game changer. In the days that everything is getting more and more expensive, Noregon just announced a huge reduction in price. If you already own a computer with all the factory OEM software they have now made it cost effective to add a second computer or if you have nothing to get on board with computer based diagnostics. It is now practical and saves money as well as ends having mechanics setting around waiting their turn with the computer or having to get someone to come in a read the truck for you. DG Technologies – I still call this the Dearborn Box. These are nice rugged interfaces that come with a FREE diagnostic software package. It is somewhat limited in what it can do but it is FREE. I keep looking at DG’s advertisements and they talk about everything the DBA5 can do but forget to mention you get FREE software. I know I am kind of fixated on the free software. Nexiq is just being Nexiq and building the industry leader bullet proof USBLink II. It is no wonder that they build so many of the factory OEM data links for them. It is amazing how many emails I get from people wanting to buy the John Deere translator. They all know Nexiq builds it and you are a Nexiq factory distributor. If I could sell JD Boxes I could hire someone to write this blog for me while I sit on a beach. 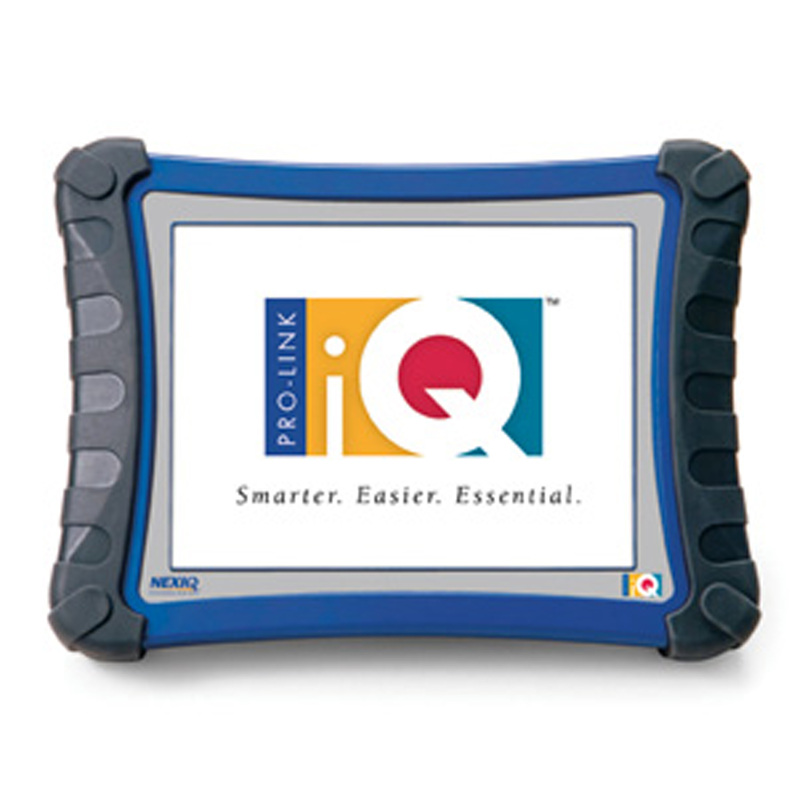 The IQ diagnostic hand held has been discontinued. The pocket IQ is a really nice handheld unit and will do a lot for the money. To wrap this up all the translator boxes have pluses and minuses. Give us a call at Apex Tool Company and we can help you decide what is the best answer for your needs.